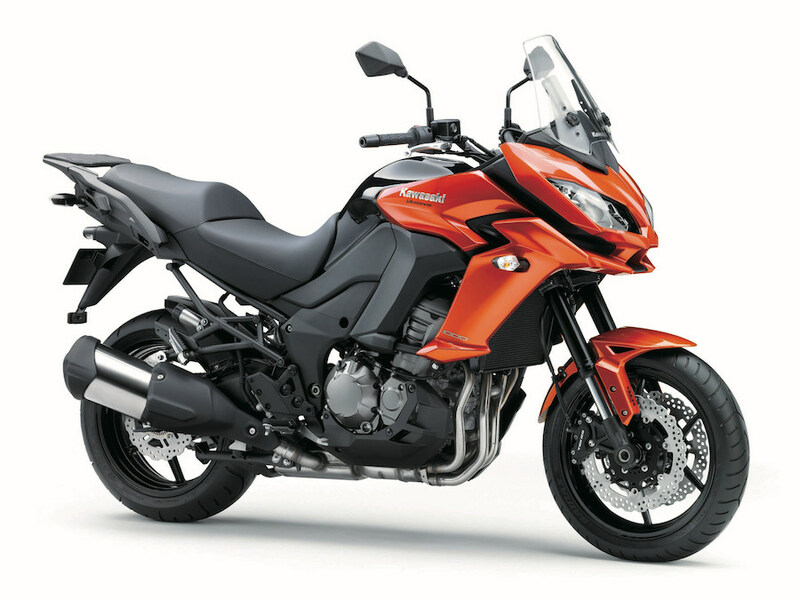 Kawasaki is readying a cleaner, greener new Versys 1000 adventure-tourer for its 2019 model range. While the bike has yet to be shown, the first details have been betrayed by its emissions certification, which shows a commitment from Kawasaki to significantly reduce exhaust emissions. The company has filed details with the California Air Resources Board that show the 2019’s Versys 1000’s hydrocarbon emissions will be more than halved, while the combined hydrocarbons and nitrogen oxides emissions will drop from 0.2g/km to 0.1g/km, while carbon monoxide output will reduce from 0.4g/km to 0.3g/km. While those numbers don’t tell us too much about the actual changes to the Versys, the documents also reveal it will have a new exhaust system. The current model uses two three-way catalytic converters, while next year’s will have just one – presumably larger and more efficient. The basic engine remains the same 1043cc four-cylinder design, so don’t expect radical changes to the motor or transmission. One surprise, though, is that the 2019 model will be around 10kg heavier than the current 250kg model. This comes at a time when the Ninja 650 and Z650, as well as the Z900, have lost vast amounts of weight by adopting a new generation of steel trellis frame. So we expect the Versys 1000 will retain its existing aluminium chassis, with the weight gain the result of its revised bodywork and equipment, including the new exhaust and catalyst. New styling will likely adopt a reverse-rake headlight design, which is a signature feature on Kawasaki’s H2, H2 SX and Ninja 400.